Achieving these goals is a lot easier than many folks believe. It all starts with a home energy audit, which is also referred to as an energy evaluation, assessment or checkup. 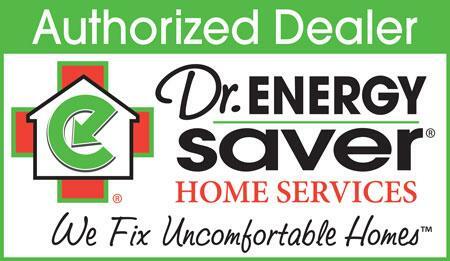 Dr. Energy Saver recommends an energy check-up for every house because like any good doctor, we know that it's malpractice to prescribe treatment before completing a thorough diagnosis of your home. Contact us today to begin your savings! Schedule a home energy audit in Two Harbors, Nisswa, Saginaw, Duluth, Esko, Superior, Grand Rapids, International Falls, Cloquet, South Range, Carlton, Bovey, Cohasset, Moose Lake, Hibbing, Ashland, and throughout Greater Duluth, MN and Superior, WI Area. We are your trusted resource to understand the problem areas in your home and best way to fix them! Dr. Energy Saver Solutions, A Service of DBS' "doctors" will also inspect insulation levels, ductwork, HVAC equipment, water heating and lighting. Special construction details --like crawl spaces, knee walls and living areas above a garage, for example-- will also get scrutinized because of their impact on comfort and energy efficiency. Contact us today to schedule your home energy audit in Minnesota & Wisconsin. We proudly service throughout Greater Duluth, MN and Superior, WI Area including Esko, Superior, Grand Rapids, Saginaw, Nisswa, Two Harbors, Duluth, Moose Lake, Hibbing, Ashland, Bovey, International Falls, South Range, Cohasset, Cloquet, Carlton, and all surrounding cities and towns.